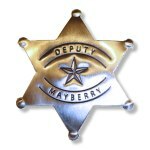 This is a slightly more "dressy" version of the original gray T-shirt design that Mayberry fans have been enjoying for a long time. 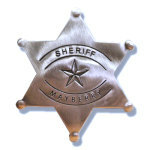 It's the biggest thing to happen in Mayberry since the firetruck jackknifed on Main Street. 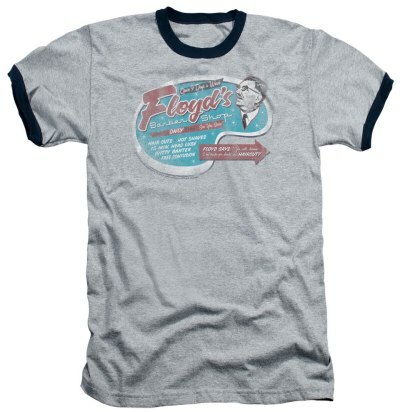 Add this to your t-shirt collection saluting the world's most beloved barber.